Portland native Tulsi Wallace came to the UO to study metalsmithing. 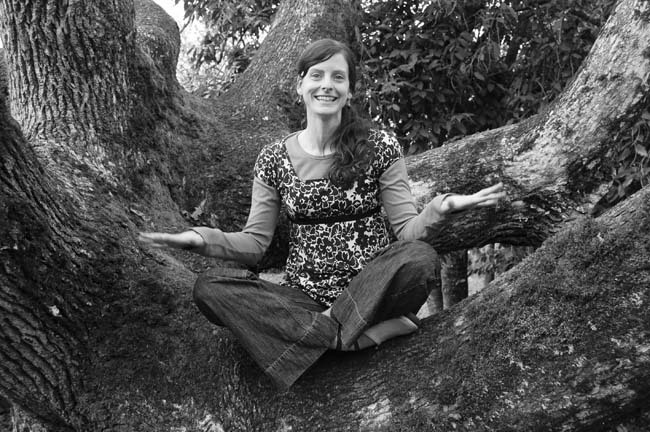 After a few years away to explore spiritual paths, she returned to finish a degree in landscape architecture in 2001. "My first job out of college was an urban water study under a grant for EWEB, working with Thurston High School students," she says. "We took bacteria counts in east Springfield and developed a dog-waste disposal campaign." Wallace currently works for EWEB as a land-management consultant, facilitating projects with at-risk kids. She has developed a stewardship model for the Leaburg and Walterville hydroelectric facilities of the lower McKenzie that includes a number of trails and bird gardens. "They're really native plant gardens," she explains. "The first one is being installed by students from the Lane Metro Youth Corps, on Camp Creek Road at mile marker seven." Another aspect of the model is the Native Wildflower Seed Bank: students from Walterville School will plant seeds gathered in the area earlier this year to create a small native upland prairie. "I call it, 'Celebrating our Partnership with Nature,'" says Wallace. "We need to evolve into a pattern of giving back." Learn more online at ewebbirdgardens.org.